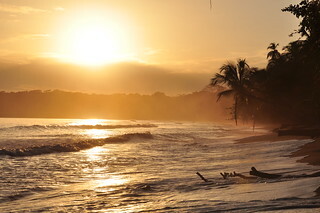 “Pura Vida” the saying goes in Costa Rica – “Pure Life”. I have to say I agree and disagree with this label they have given themselves. I witnessed the beauty of Costa Rica, including its abundance of friendly faces, but I also found it was a country in need of much legislation and reform. I worked as an intern in the Costa Rican Congress this summer, researching mental health legislation and also shadowing office members as they met with their different “comisiones” to discuss various topics such as Tourism, Production, Maternal Health, National Security, and much more. I also attended lectures and had the chance to see the “Plenario” in action – the assembling of the whole Congress five days a week to vote on and discuss bills. Interning was a fantastic experience and I am so thankful to the Congressman and his office, as all the members were so excited to show me the inner-workings of their country and help me improve my Spanish. Through my shadowing and mental health research, as well as experiencing and living in the country itself, I began to see gaps and room for improvement, particularly in healthcare. Policies for progressive reform passed years ago in the United States were just hitting the tables of the Congressmen as possible bills. For example, during my time there, a bill was being presented on legalizing in-vitro fertilization. I also attended a presentation to a committee about the lack of regulation and inspection into an Elderly Home that lead to the death of a few patients, who had been living in dismal conditions. Through my research in mental health, I discovered Costa Rica only has one law to address mental health, and it is not all-encompassing. I compared this law, as well as the Ley General de Salud (Law of General Health) in Costa Rica, to a well-known benchmark in mental health legislation – Argentina’s mental health law. From this comparison, I found that Costa Rica did not define mental health exclusively, and that many rights of mental health patients were not stipulated. For example, voluntary and involuntary hospitalizations of mental health patients were only briefly discussed, while Argentina had a whole subset of a stepwise and legal process that monitored these hospitalizations. The best part of the Costa Rican Law was the creation of a Technical Secretary of Mental Health as well as a Committee to support their pursuance of proper mental health coverage for the country. 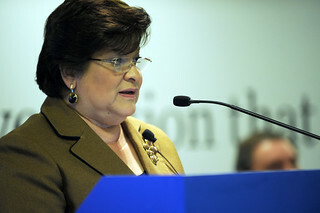 However, I ultimately found that Costa Rica could add much more to its legislation, such as exclusively defining rights of mental health patients, discussing the legal capacity of the patient and/or their guardian, and providing for the monitoring of facilities, to ensure the rights of mental health patients. Costa Rica is by no means below standards or bad by any viewpoint, it simply has room for improvement as all countries do. I believe Costa Rica will continue to advance as there are people, such as those in Congressman Desanti’s office, that are working tirelessly for their progression of their country. Although Costa Rica has not achieved “Pura Vida”, it is on its way.